Cabbage: not everyone’s favorite, but so, so good for you. 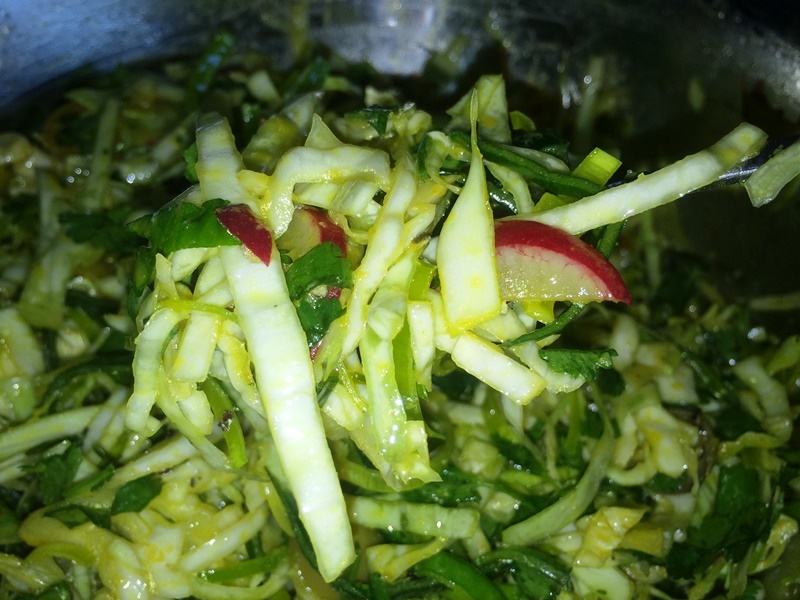 I have had my issues eating cabbage in my life, and I will tell you…it’s not my favorite. It is, however, one of the great members of the cruciferous vegetable family. Cabbage contains a compound called sinigrin, which as been known to carry certain cancer preventive properties for bladder, colon, and prostate cancer. Cabbage is also a great source of fiber and folic acid, as well as pretty much any vitamin you would take in multivitamin form like C, A, K and D.
Cabbage, like other cruciferous vegetables, is also great for cleaning out your insides. 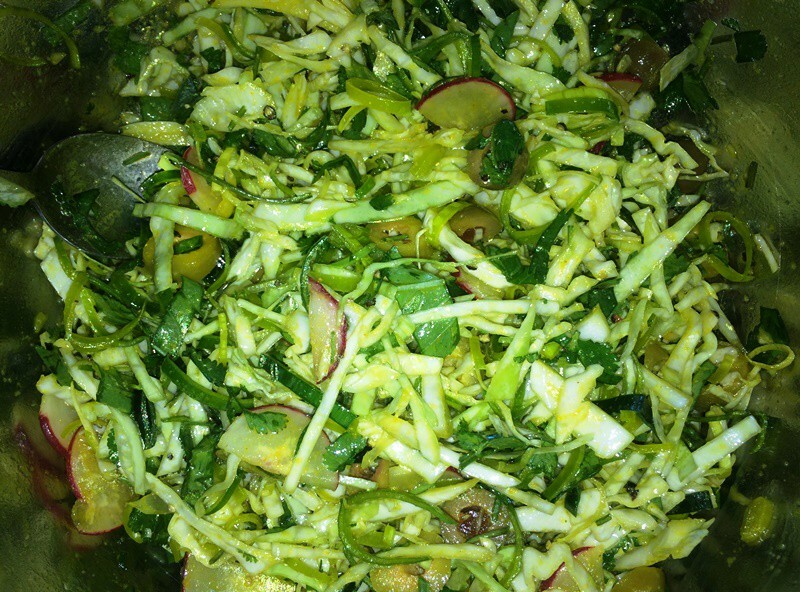 Along with leeks and radishes, this salad makes one healthy dose of spring cleaning from the inside out! This is also a great candida-fighting salad, as it contains all the necessary ingredients you need to help fight off that extra build up of fungus in your body. 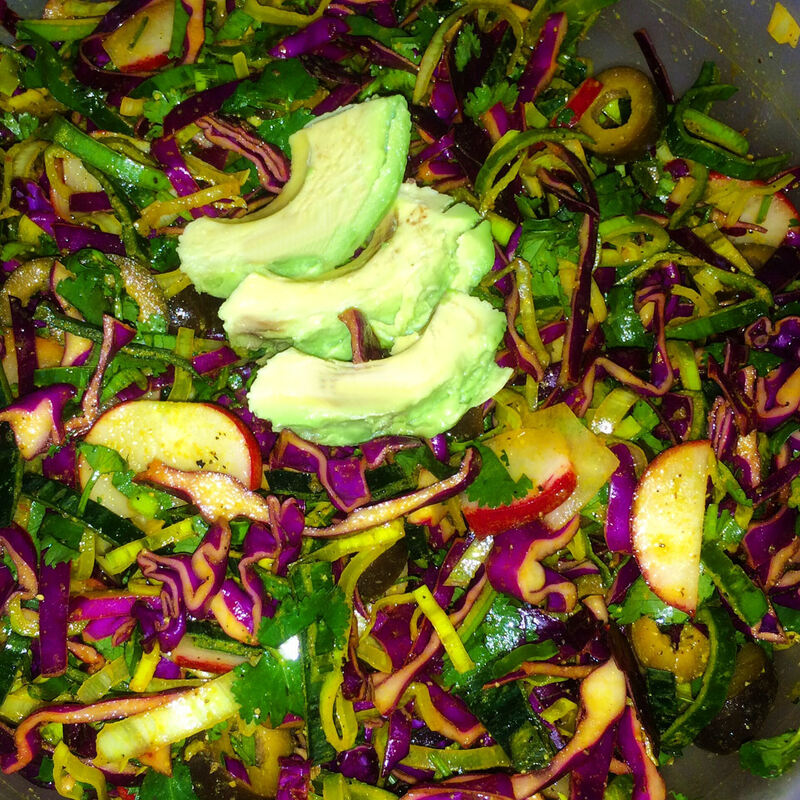 So if you are wanting a great tasting salad which helps to cleanse you from the inside out, you should try this recipe! Chop up all the ingredients and put them into a large mixing bowl. Add the olive oil, lemon, salt, pepper and turmeric if you are using it, then mix it up to make sure everything is fully saturated! 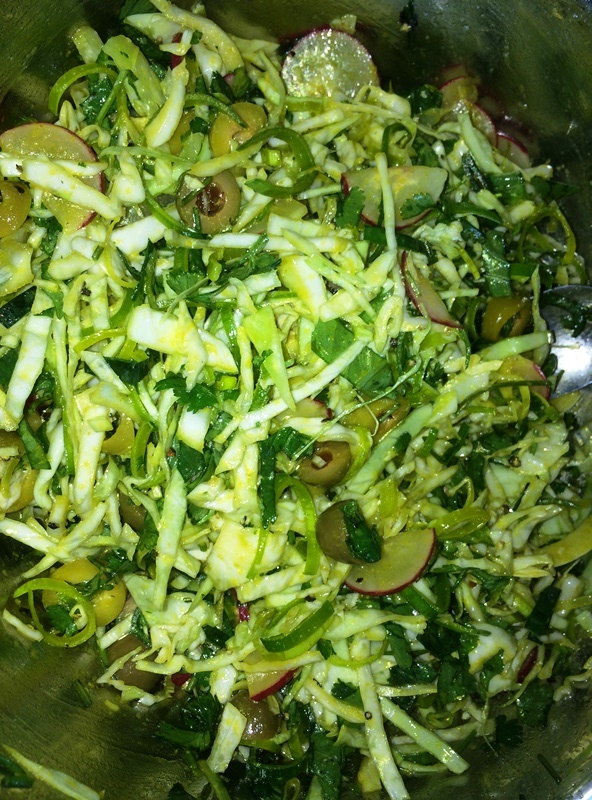 Put it in the fridge to marinated for about 10 minutes, then, take it out and eat! You can leave it in the fridge for longer if you want, as the flavor can soak through more. This recipe will keep up to a week in the fridge! However, mine has only ever made it two days, because I always eat it so fast as it tastes so good! 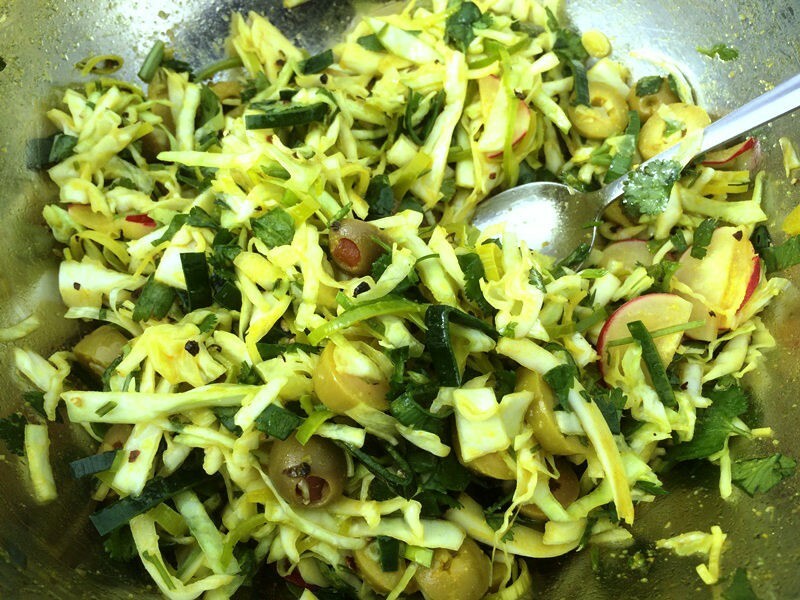 You can also try mixing it up with this salad too, adding purple cabbage, black olives, other vegetables, whatever you like! 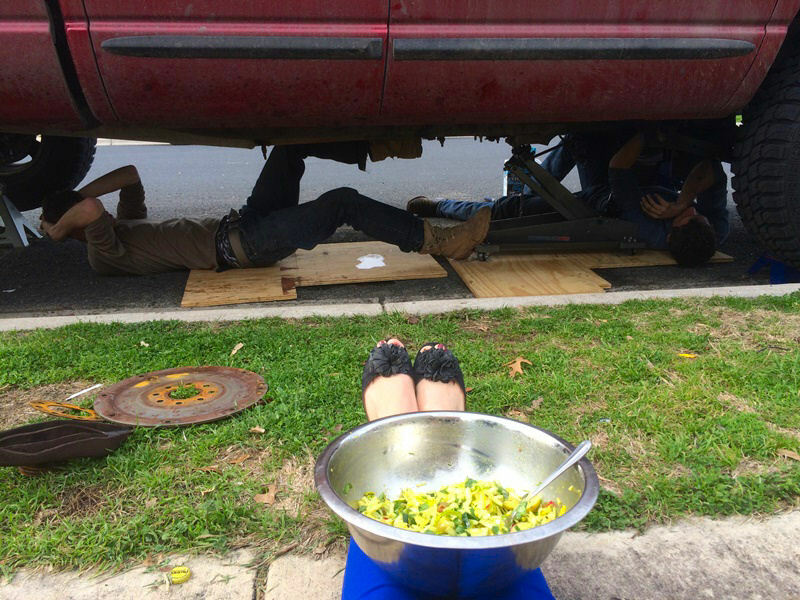 And when you are bored eating your salad alone, go outside and watch your friends as they work on fixing their broken trucks. It makes for great food entertainment!